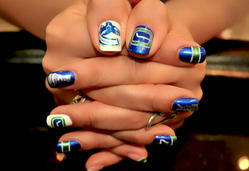 What a great way for nail salons and their clients to show their hockey pride! 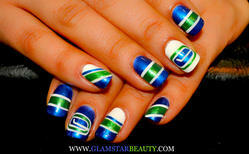 Being able to design custom nail treatments for the Canucks fans here in Vancouver has been a very smart business move for GlamStar Beauty and Nails. 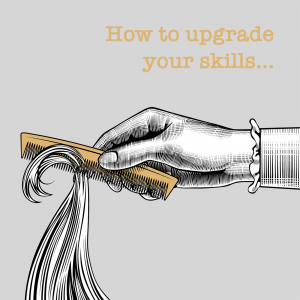 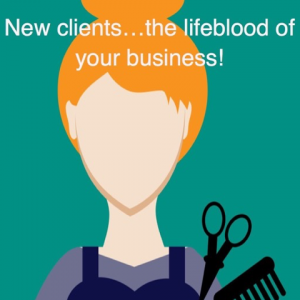 This concept could work for many different events in any city – what a great treatment to be able to offer at your salon!